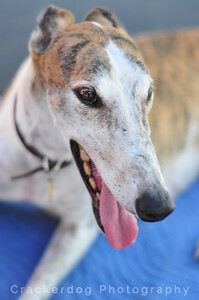 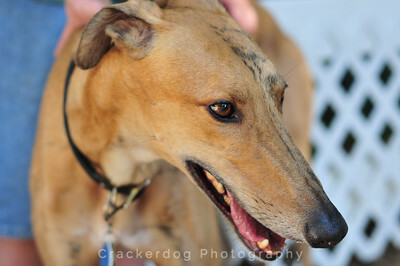 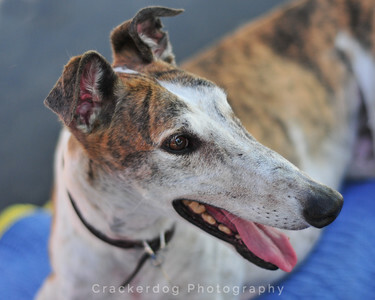 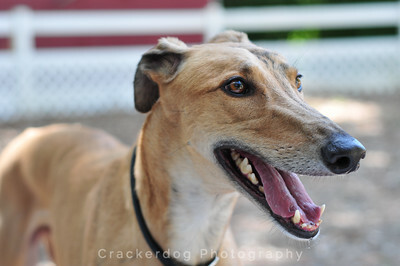 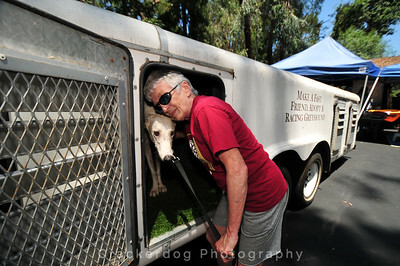 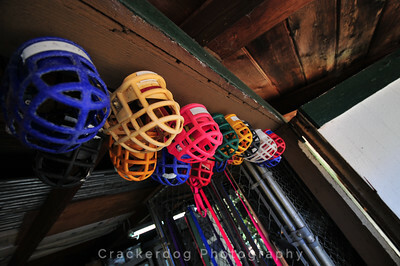 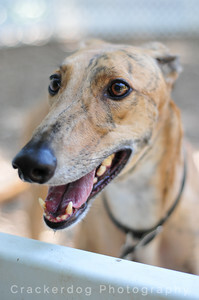 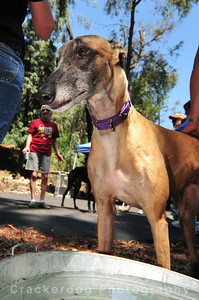 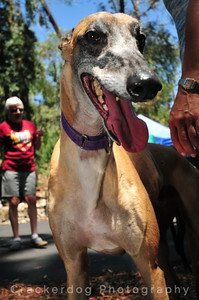 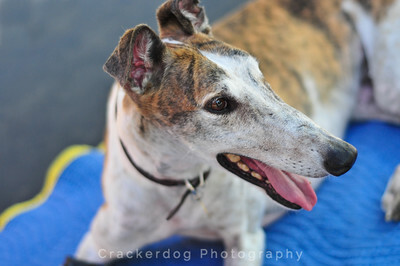 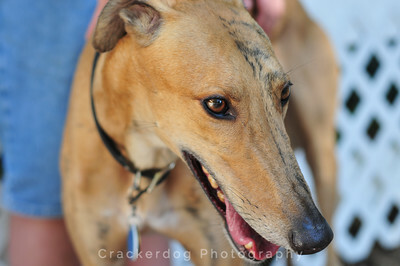 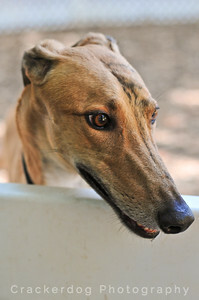 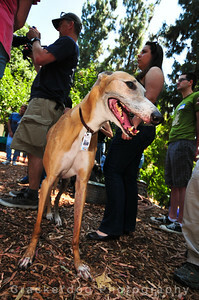 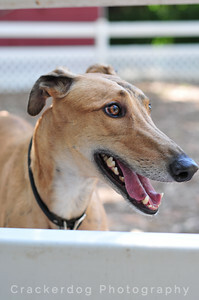 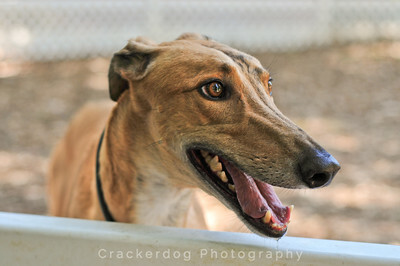 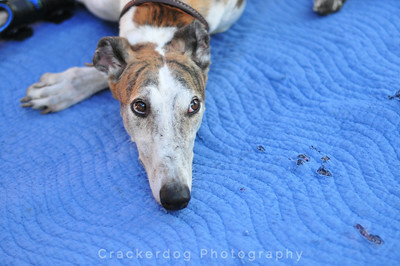 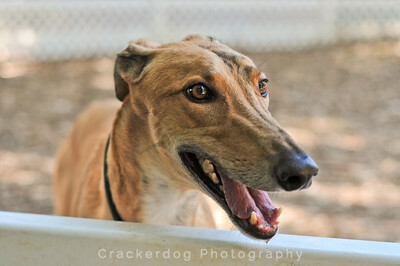 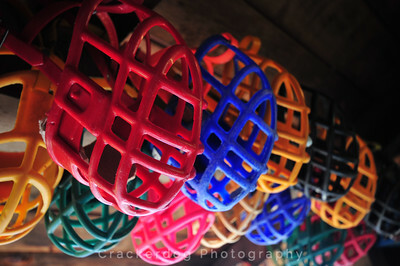 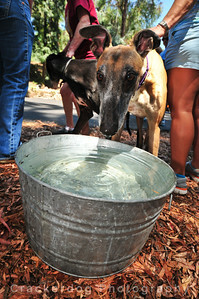 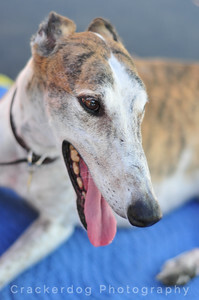 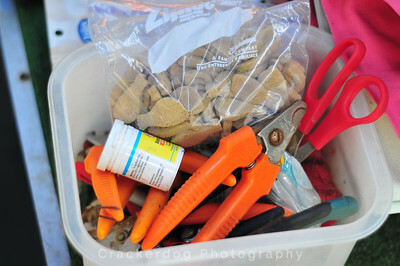 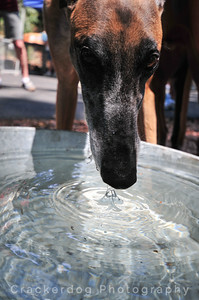 Photos of ten newly-retired greyhounds from the Caliente racetrack arriving at Fastfriends Greyhound Adoption. 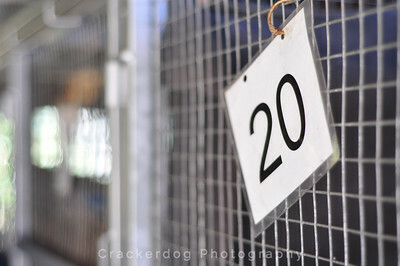 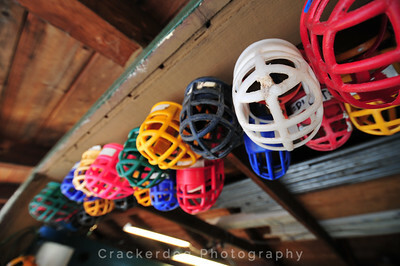 Brought to you by the number "20". 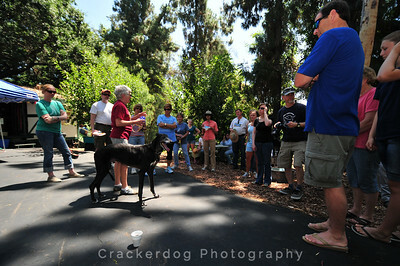 Joyce explains to the volunteers how they can help with the new arrivals; Jake takes in the crowd. 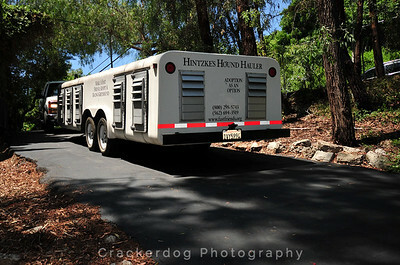 Tom pushes the dog hauler down the driveway. 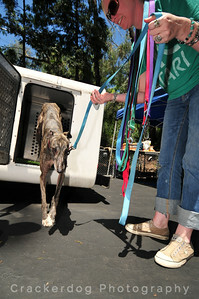 Joyce helps the first greyhound, Lamb Chop, out of the hauler. 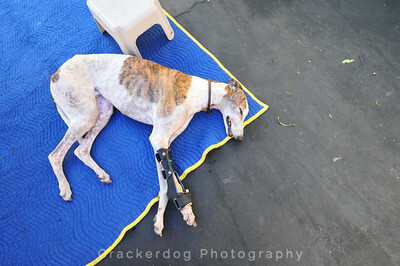 Joyce shares a brief moment with one of the retired greyhounds, Nike. 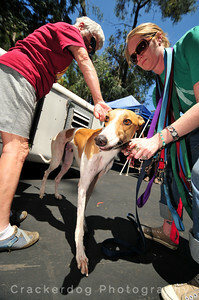 Charity clips a lead on Monty. 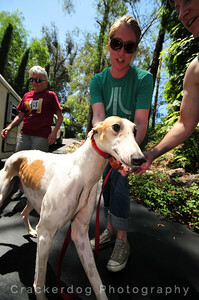 Charity and Shannon clip on a lead to Bombshell. 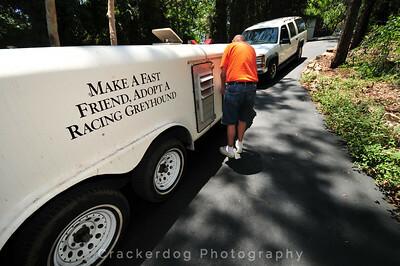 Tom checks the hauler after all the greyhounds were removed. 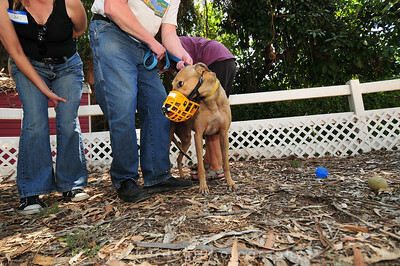 Daring gets checked for ticks.